Program Cost - Overall cost of $962 million includes design, right-of-way acquisition, utility adjustments, construction, construction management, inspection and materials testing. 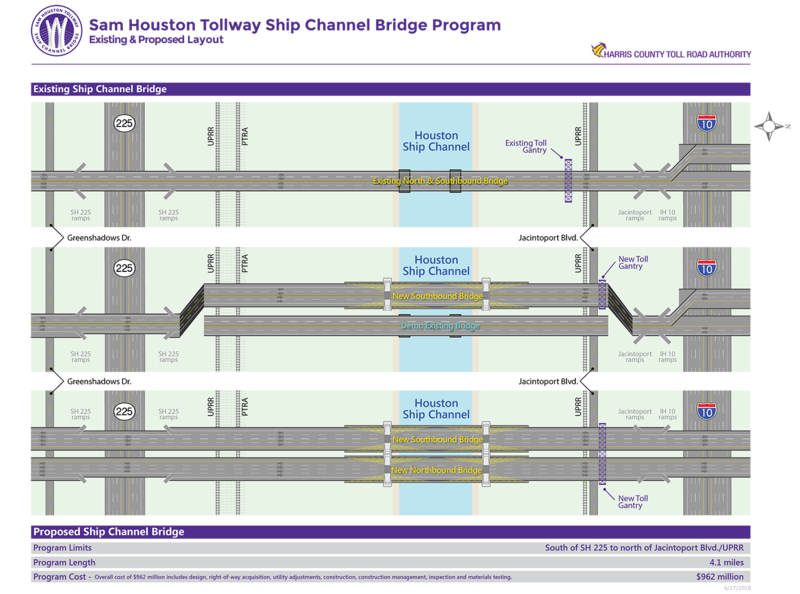 Timeline: The southbound bridge is expected to open to traffic in fall 2021. The northbound bridge is expected to open fall of 2024, completing the project. Program Construction Costs: Overall cost of $962 million includes design, right-of-way acquisition, utility adjustments, construction, construction management, inspection, and materials testing.